Now more than ever, individuals are coming together to foster business growth across all communities of Camden County. South Jersey is comprised of a bunch of communities, big and small, each one contributing to the whole economic engine. In Camden County, where some 500,000-plus people call home, there are goliaths, like Cherry Hill, with its ever-expanding development, and “Davids,” like Somerdale or Berlin, aggressively pursuing projects that will make life better for residents and businesses alike. And there are stories of redemption, as seen in the city of Camden, where once businesses avoided is now experiencing a renaissance that is putting it on the map for good reasons. Camden County might not be a secret anymore, however, considering the activity. Louis Cappelli Jr., Camden County freeholder director, says an estimated $3 billion in private projects are underway in the county, with a majority in Camden City. “This private investment will result in 5,000 to 7,000 new jobs over the next few years,” he says. Places that have been yearning for action are starting to see it. Developers finally broke ground on the former 35-acre Pennsauken Mart site, which will become Haddon Point Commons, a gated apartment community appealing to young professionals. Stratford is also working on the redevelopment of Stratford Plaza, and Haddon Township’s Westmont commercial corridor is bustling with new residents and a Planet Fitness that now inhabits the former Westmont Theater. Cherry Hill continues to attract national chains, with the recent approval for a (controversial) Costco and gas station at the Garden State Park site. The county is also investing in overall quality of life initiatives. Cappelli notes a 10-year infrastructure plan on roads, bridges and sewers, making them safer, which helps attract new development. Speaking of coming together, nowhere d oes this seem to be more evident than in the county seat, Camden. 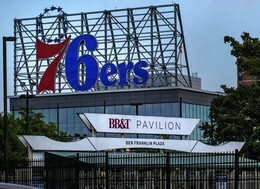 With the help of the Economic Opportunity Act of 2013, within the last couple of years, several companies have made the decision to call Camden home, including the Philadelphia 76ers training facility, Holtec International, Subaru, American Water and Liberty Trust. Cappelli says seven market-rate residential developments are also taking place and a new hotel will be coming to the city. Cooper University Health Care continues to make strides in the city and beyond. In 2017, it opened a new urgent care facility in Runnemede, staffed with board-certified emergency medicine physicians, joining others like it in Cherry Hill, Audubon and Cinnaminson. In response to demand for surgical specialties such as bariatric, vascular, pain management, urology and more, Cooper opened four new state-of-the art operating suites on its Camden campus. “This year, eight additional ORs will open, including a new interventional vascular suite,” says public relations manager Wendy Marano. In keeping with Camden’s holistic view of lifting everyone up, Cooper announced the Cooper Health Careers Initiative (CHCI), an education and job training program in the field of medical coding offered free of cost to eligible Camden residents. Partners in the program include Camden County College, Camden County Technical Schools and Hopeworks N Camden, among others. Marano says qualified participants will receive support and coaching toward completion of a certificate in medical coding offered by CCC. After that, they are eligible for a job with a work stipend at Hopeworks where they can gain further skills. As Camden continues to rise from the ashes, Cappelli says the county as a whole will benefit. “What’s good for the city is good for the county,” he says. The feather in Passanante’s cap, so to speak, has been the rebirth of the old Lion’s Head Plaza into Cooper Towne Center. “It’s a 52-acre parcel and when we started redevelopment in the late 90s, it was a $7 million tax ratable. Today, that same footprint is approaching $67 million in ratables. It’s a huge turnaround,” he says. Contributors include Wal-Mart, one of the chain’s top performing locations, which has helped draw people in, and Flying Fish Brewing Co. Soon to be opening is Cider and Mead, says Passanante. “We want to make this a destination spot for taste testing,” he says. He hopes to continue these efforts of rejuvenation with the newest proposal on the former Our Lady of Grace parish complex on White Horse Pike. Vacant for nearly a decade, there is a conceptual arrangement to develop homes, shops and a restaurant, while keeping the landmark church itself intact. “We want to preserve the church and the school as much as possible,” Passanante s ays, citing resident disappointment when nearby St. Gregory’s Church was demolished in Magnolia for a Royal Farms. Current plans have proposed 30-40 unit active adult apartments and 40-50 marketrate apartments aimed at millennials called “the Reserve at Grace.” The rectory will transform into 7,000 to 9,000 square feet of retail space, and the church basement will be converted to a recreational and gym center, with meeting space, locker rooms and a permanent space for the St. Vincent de Paul food bank. “The top floor of the church will be a restaurant, and the visual concepts of the development will retain the look and feel of the church,” he says. Passanante says things will move quickly, with a planning board application expected in April and demolition in July. “Our goal is to complete the conversion of the school by April 2019 and we’re looking at reservations for the active adult units as soon as June, and phase two will be construction of the mid-rise buildings in April 2019 with units on the market by January 2020 at the latest,” he says. Gloucester Township’s Mayor David Mayer says the Gloucester Premium Outlets, which opened three years ago, have spurred a good deal of positive attention for the town. “That project created about 300 construction jobs and 600 retail jobs, and it’s been positive for those employed and for residents of the community. It’s brought people in to spend money, which is good for the local economy,” Mayer says. The outlets have been a launching pad for other developments as well. As mentioned previously, Maryland-based Royal Farms recently opened its first South Jersey location in Gloucester Township, with nine more planned, at White Horse Pike and Evesham Road. Along that same corridor of BlackwoodClementon Road, a new Republic Bank is under construction and the European grocery store chain Lidl will open. Mayer says businesses along the corridor will also be getting new facades. A Holiday Inn Express is coming to the corner of Black Horse Pike and Lower Landing Road, and off Williamstown Erial Road, a two-story, 58-unit assisted living community, All American Assisted Living, at Lakeside Business Park, will bring a variety of amenities and care facilities for elder care. Gloucester Township is also home to Founder’s Grove, a new private estate wedding and event venue on Evesham Road. Mayer has launched a branding initiative, with signs all around showing the Gloucester Township name, and it’s even emblazoned on police cars. An education campaign will be rolling out shortly. Businesses are being asked to rebrand as well, like the former Blackwood Plaza, which is currently under redevelopment as The Shoppes at Gloucester Township. The business community has a strong partner in Camden County College, which is celebrating its 50th anniversary this year. CCC President Don Borden says the college is always asking what businesses need from it in terms of training for students to be gainfully employed. And the college responds and acts on the answers. Borden highlights manufacturing, robotics a nd machining as among the most in-demand fields, and says CCC has a robust auto tech program. “We’re in the process of putting together a cyber security program because we see that as another necessary offering,” he says. CCC is also putting something in place they believe to be the first of its kind. In collaboration with Rowan University and the Rutgers University-Camden Board of Governors, CCC will offer the Alzheimer’s Journey Coordinator Certificate Program, a series of four courses over six months and a 90-hour externship in health care settings in the local community. “So many families are dealing with this, and this program will train people who can be by the side of these families as they navigate what they need and what it means,” Borden s ays. The program will launch fall 2018.